Earlier this week I had the pleasure of sitting down with distinguished collector and contributor to the Deployant Blog, Charles Sutanto. As an engineer, Charles tells me it was really a fascination with mechanics that drew him to watches. His horological journey started approximately 15 years ago with the purchase of Jaeger LeCoultre Master Memovox. 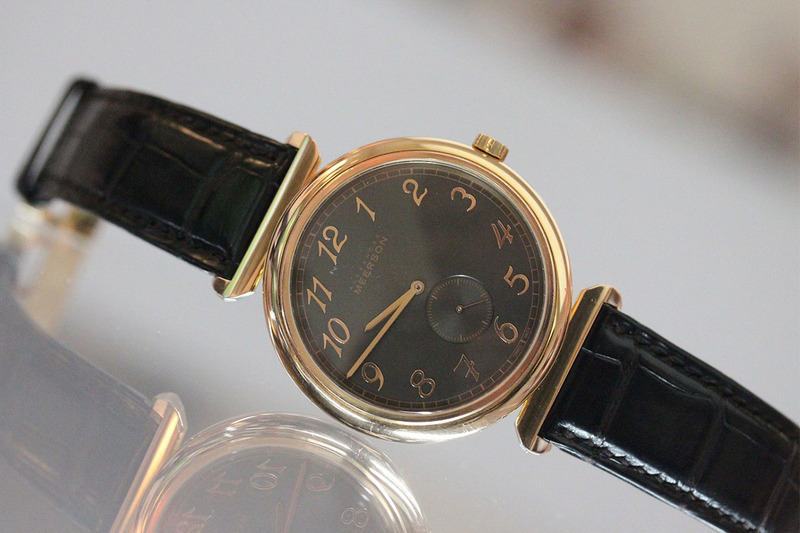 In his early days of collecting he found himself appreciating creations from the likes of both Audemars Piguet and Panerai. It is fair to say that as time went on, during 2007 and the Tempus, Charles went through somewhat of a transition in his collecting focus. 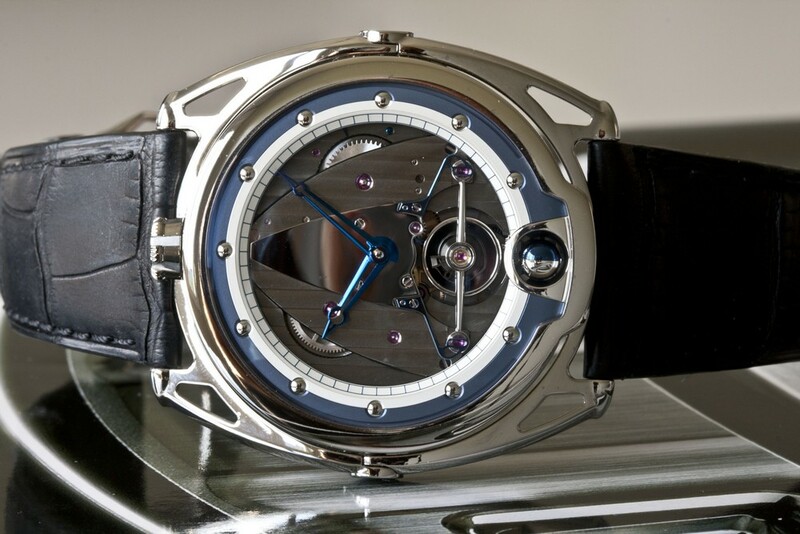 This was the period in which he was introduced to the world of independents and “haute haute” horology. 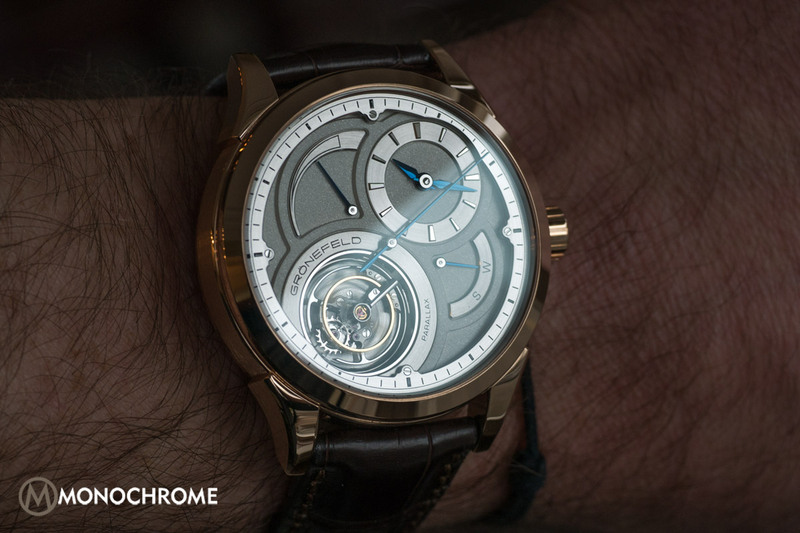 Voutilainen, De Bethune and other independents became the core of Charles’ focus. 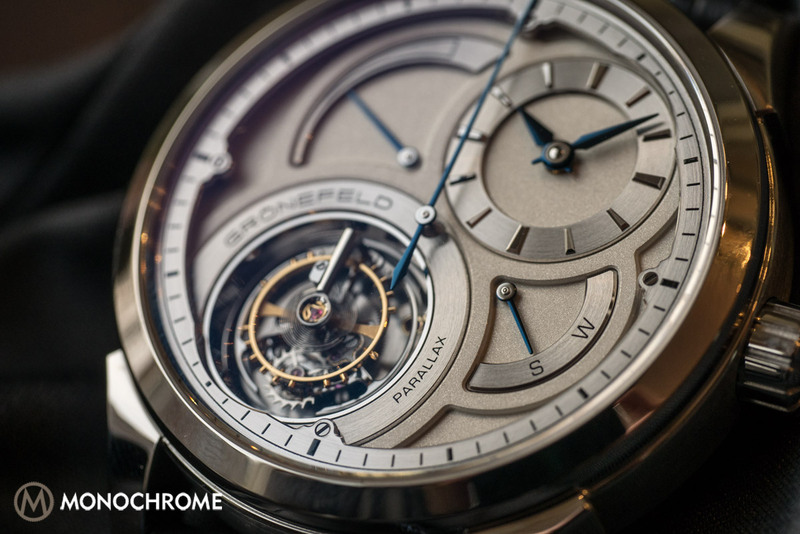 With this in mind, I thoroughly enjoyed discussing a watch you rarely see in the wild…a Grönefeld Parallax Tourbillon (in titanium…). I guess what ignite my interest on watches was when my father gave me my first real watch, a Tag Heuer Link, when I was still in high school. At that time, it was hard to find information as the internet era had not even started. However, I started to look at magazines and learned what watches were all about. The internet era surely made it easier to find more information and I started to appreciate watches even more. 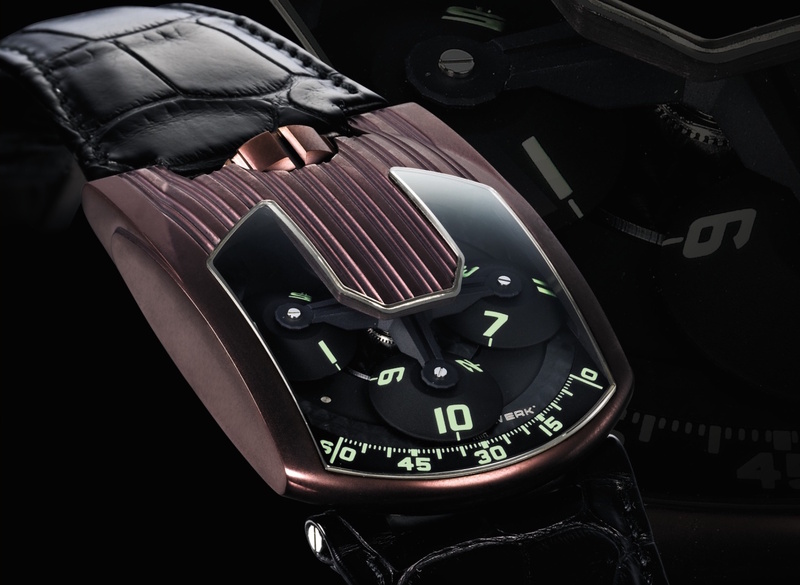 So many key disciplines in life today are represented in a watch from math, engineering, metallurgy, design and craft. On top of that, it was done by hand without the aid of computer. So with this amazement I started my journey into collecting watches. The first serious watch I bought with my own money was a JLC Compressor Memovox. And since then, I have never stopped. Until today, I think a watch is a celebration of human ingenuity which I think we should all cherish and preserve for next generations. What drew you to Grönefeld as a brand? I have always appreciated independent watchmakers. I think there is always something special when a watchmaker really pours his ideas, creativities and labour into a product that actually is a translation of his vision. So when I first met the Grönefeld brothers in Basel 2013, I really felt these values. I can see something special in what the brothers are doing. 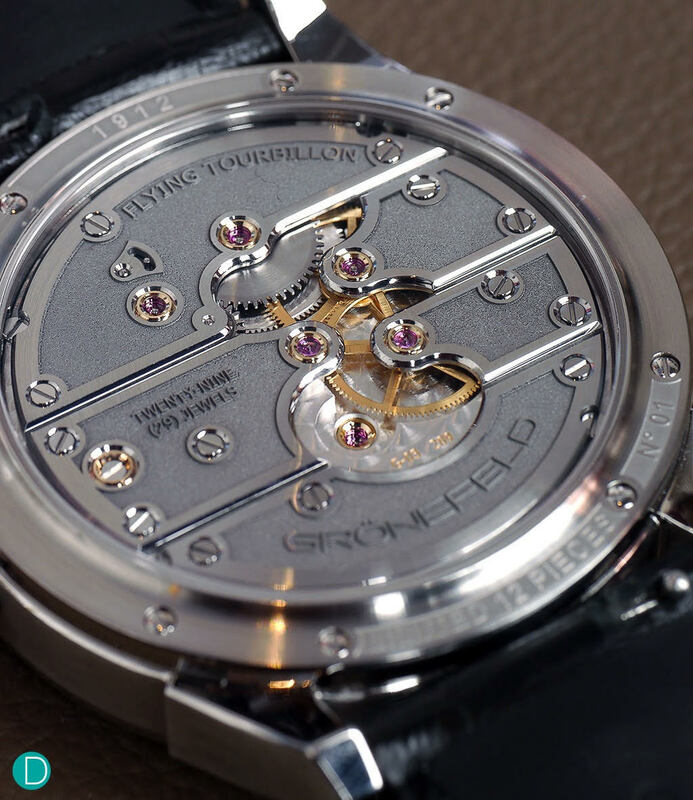 Furthermore, I believe that now collectors are more keen to collect watches with a single complication and I think Grönefeld as a brand really wants to focus on highlighting the complication. Why not? I think the Parallax represents all the things that you would value from a great watch: Traditional watchmaking such as applied, diamond cut indexes, traditional finishing to the highest degree – but at the same time, it brings modernism in the material chosen, such as steel for the bridges. There’s also this focus on accuracy with a stop-seconds mechanism to adjust the time perfectly. It is smartly designed, as the time indicator section can be seen from under the cuff. There are so many positive things I can say about Parallax. I think Parallax is a very handsome watch. What is it about Independents that attracts you? I think most of the independents have a very strong vision about their products. 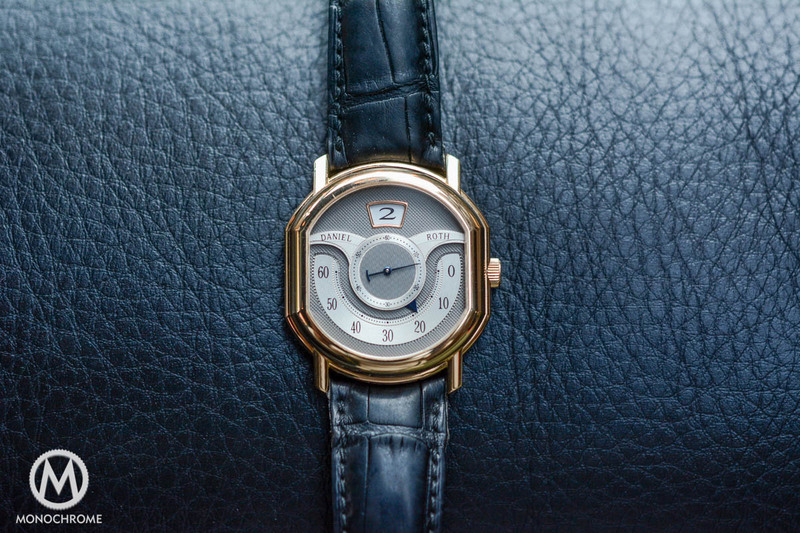 They do not get lost in trying to produce something merely because they need to but rather because they want to use their product as a media to express their vision on what watchmaking is all about. At the same time, just like fine bespoke suits, having an independent watch brings the opportunity to create something unique, based on the collaboration between you and the watchmakers. And most of the time, a unique friendship develops, which really creates an enriching environment for both parties. What is more important to you: accuracy / rarity? None. Of course, at a certain point, both are important aspects in the decision to buy a watch. I think the most important is the overall package and how the watch sings to you. If the watch is very accurate, as it is the case with the Parallax, I think it is a bonus. Do you tend to go for aesthetics over brand heritage? Yes! Absolutely! I truly believe in buying watches that I really like visually. It doesn’t not matter what brand or the heritage of the brand. 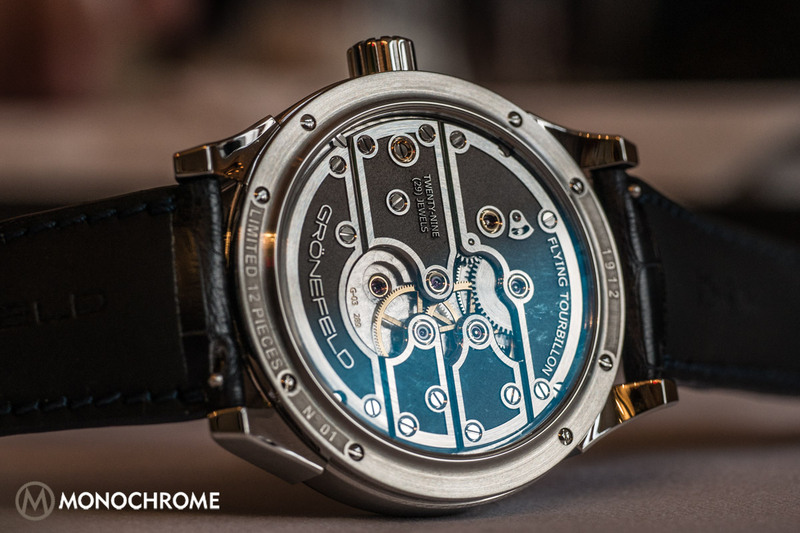 If I was too worried about questions of heritage, I would have never jump into independent watchmaking. The watch I’m looking to buy has to sing to me first. Then I can look deeper into its provenance (if it comes from more established brands). If there is none, which may be the case with the indies, the most important triggers would then be the watchmaker’s vision and his personality. What was superb is that the Grönefeld brothers agreed to make a special Parallax for me, in my favourite material: titanium. One reason why I think it fits this watch perfectly is that the Grönefeld watches inherently have a large case and, unfortunately, I have small wrist. If a watch is too heavy, it will not sit well on my wrist. With this titanium case, since it is much lighter, the watch sits more comfortably. How much wrist time does it get? I wear almost all of my watches and the Parallax is often part of this rotation. I change almost every day and the Parallax will always get its turn, as it is very versatile. Considering the size of the case as well as the colour combo that I used (blue strap – I know, boring…), I can wear it with a pair of jeans or a business attire (although it is difficult to keep the watch under a shirt cuff due to the height). The Grönefeld Parallax is definitely a piece to be worn, as it gives me joy every time I strap it. What does the Parallax say about you do you think? A both understated and risk-taking watch! Hahaha! 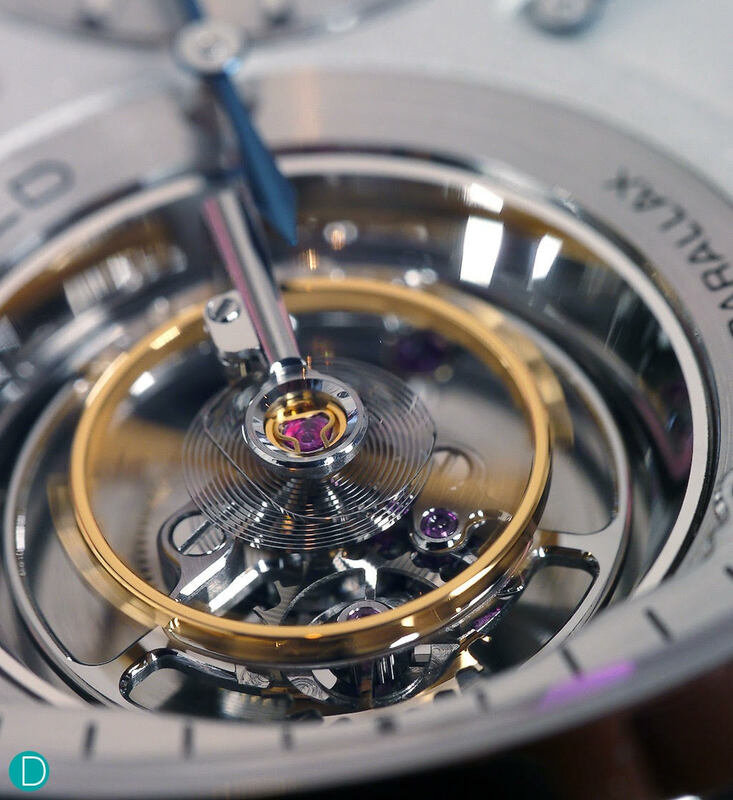 The Parallax is such beautiful watch and one can get lost admiring the tourbillon moving, but at the same time, the design is so understated. 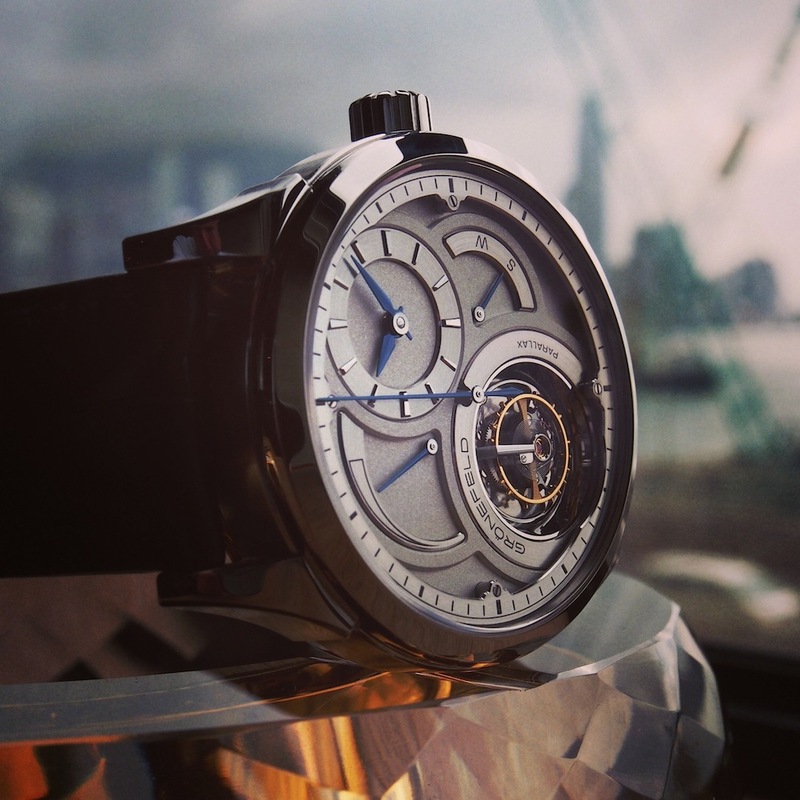 It puts aside all unnecessary things and focuses the attention on the tourbillon itself. I also said risk taking because only a few people know about the Grönefeld brothers and their creations. People may call me nuts but I was one of the first who ordered the Parallax – and so far my intuition had proven to be correct, as the watch won the prize of the Best Tourbillon at GPHG 2014. What does the future hold for the brothers at Grönefeld? I think the brothers are doing very exciting things. One of their credo when creating a new watch is to focus on a single complication and to execute it in the highest possible way, while bringing innovation to the construction. This is easily visible on the One Hertz and on the Parallax. I know that their next creation will bring another somehow new complication, which has not been seen yet. I can’t wait to see what the end result will look like. Strangely, I would say: my wife. She may not understand horology in details but she is a keen observer on design. She also perfectly knows my personality, so she understands which design suits me the best. I hate to admit it but the Parallax was an example of what she thinks to be a great watch. Well, I am actually working on a list of watches that I want next. 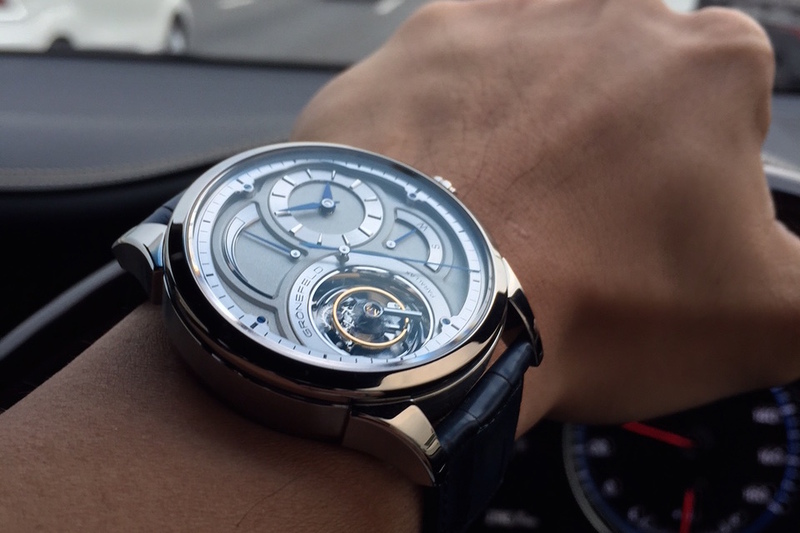 High on the list would be a Roger Smith and hopefully one day, a Greubel Forsey. I also dream of the day Philippe Dufour will create another series of Simplicity, I would be first in line. I have been asking him every single time I see him in person at Baselworld, but each time, he just smiled. I made the promise that I would stop once I’ll reach that pinnacle – but I’m not sure that it will be possible. So, wait and see! I see satisfaction as the ultimate nirvana, so I would say no, a collector can be fully satisfied. Collecting is a journey, just like life. There will be ups and downs as well as changes in tastes, depending on where someone is at a certain moment of his collector’s life. I also think that the reasons why people collect are vastly different and these reasons can change over the time. I know some people who completely scrap their modern watch collections and started a new journey in vintage watches. 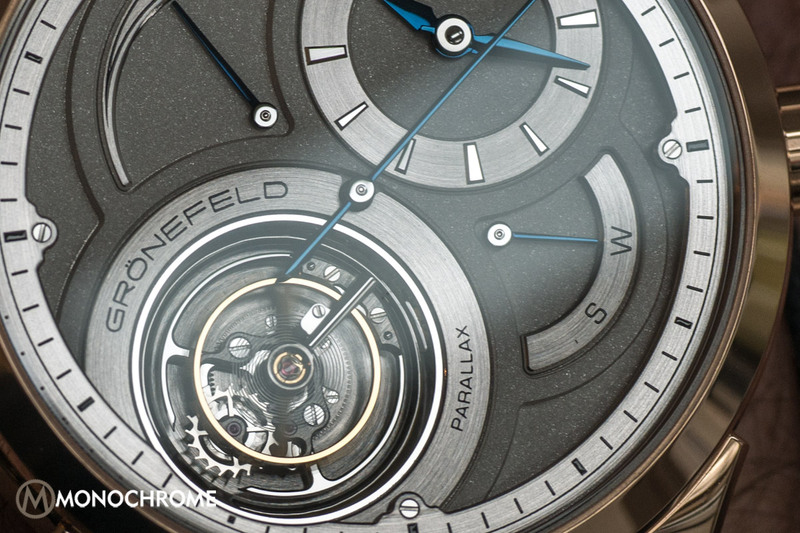 Other than Grönefeld, which brands do you think are doing interesting work out there? For me, many brands are doing exciting watches at the moment. You can see from that in every price range, all brands are doing something to solidify their position in terms of provenance or technical mastery. There are a few brands that, for me, really stood up consistently (and I might be bias on this), but brands such as De Bethune showed superb things in terms of innovation while maintaining the spirit of traditional watchmaking. Another brand that I am passionate about (other than De Bethune and Grönefeld) is Vacheron-Constantin. I think this year VC has very strong products that combine their heritage with technical prowess – note: The Harmony Collection. This is really another strong example of keeping a tradition alive while updating the products. I think the most important thing is to buy what you like. Many people asked me what he/she should buy and I always answer to them: buy what makes you smile each time you wear it. I think collecting (whatever you’re collecting) should bring joy. This is the most important thing. Thinking too much on the “investment value” of a brand may interfere with the experience of watches and the overall joy of collecting. Of course at the same time, the affordability needs to enter in consideration. I can’t advice someone to purchase a watch over his budget but it has to remain something for the future, a sort of aspiration that makes you work harder to get your hands on it. Another pointer that I want to focus on is you can learn so much from the journey itself and in the end, your personality will be translated into your collection, no matter where you started. Is the Parallax a keeper? Hell yeah! 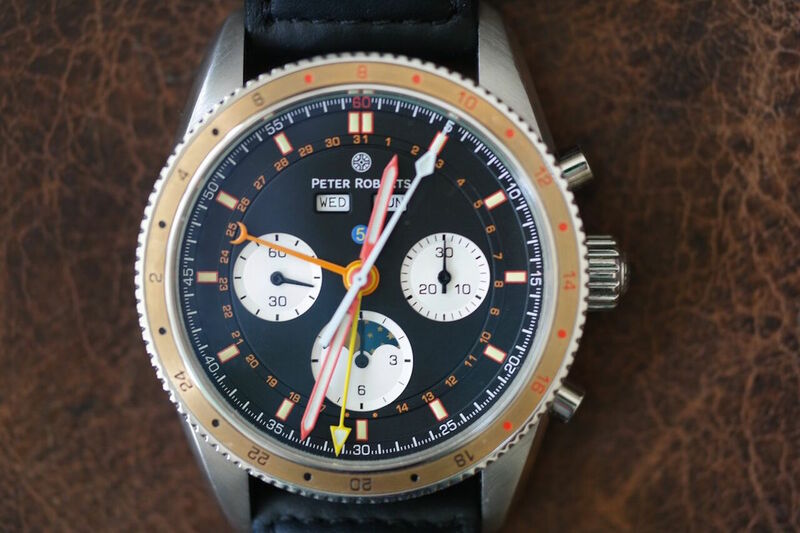 I think this is a perfect watch that combined tradition and modern design. Look closely at the Parallax. It is actually executed very traditionally, with polished applied indexes, bevelled angles, perlages… but it is also modern in its design. You can dress it up and at the same time, you can dress it down. For me, it is a very versatile watch. One more thing: it is very very accurate. I have tested it and compared it against an atomic clock once and the deviation rate was one of the lowest I have ever seen in a wristwatch. Kudos to the brothers for doing such as great job on adjustment. Thank you to Deployant for the use of some photos (that can be found in Charles’ article here).